Ladies, gents and kids of all ages, Bangalore’s massive biennial aero show is returning, and we are pumped. Said to be the largest in Asia and the second largest in the world, we’ve been visiting it since the inception in 1996, and it is spectacular. The dates are February 20 to 24, and this time the Aero India Exhibition will include aerospace exhibitions from over 22 countries, and 400 plus companies showcasing their technology. The final two days will be open to the general public to check out the displays too, while the first three is for business and defence only. If you’re interested in the field, then you must hit up the exhibition halls for all the interesting displays, audio-visual presentations and models of planes, engines and all things aeronautic! It’s great for kids, and anyone interested in the science of it all. But the star of the event is, and probably always will be the air display. 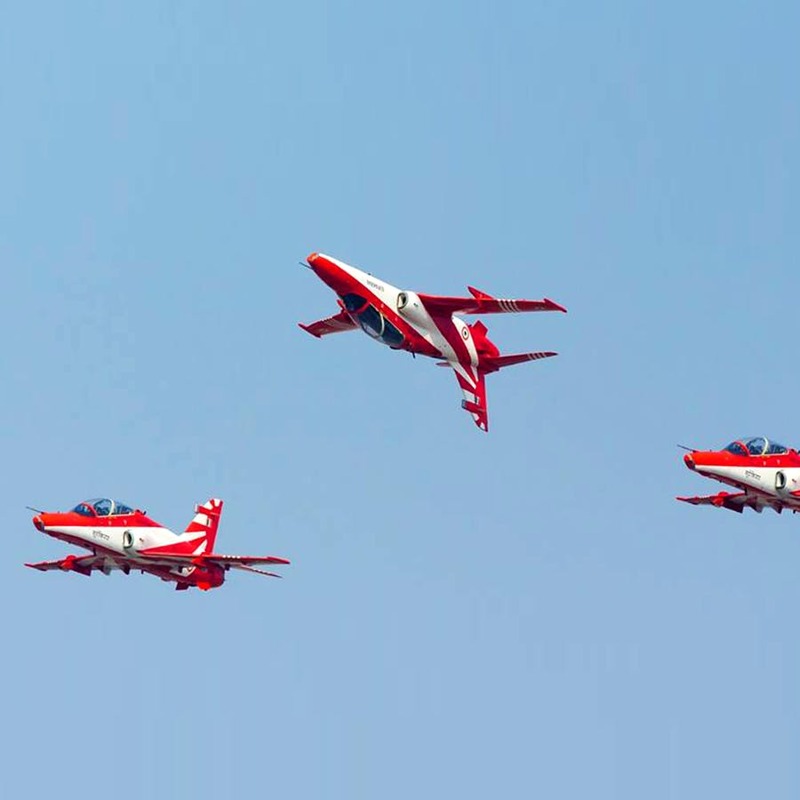 Hosted by the country’s Defence Ministry, along with several other aero-related organisations, the show features over 70 aircrafts — light combat aircrafts, helicopters, fighters and unmanned aerial vehicles to name a few. If you’re looking for some vicarious thrills, you’re definitely not going to want to miss this — pilots orchestrate their ability to skilfully navigate, coordinate and synchronise — aerobatics with oodles of flair and style, leaving trails of coloured smoke all across the sky. Make a day out of this spectacle because it’s a real visual treat for the family. This will take place daily from 10am to noon and then 2pm to 5pm. Aero India is traditionally hosted in Yelahanka, and before you complain about the distance, just know the event takes places once every two years. Mark your calendars, because if you miss it this year, you’ll only get your next chance to attend in 2021 (if it happens then! ), which is certainly no short while away! Where else are you going to see fighter jets do mid-air flips, all the while emitting plumes of fire for dramatic effect?